Let’s begin the journey by knowing what actually is a pre-wedding photo shoot? A professional photo shoot done by your hand-picked wedding photographer. This shoot is done a month or a few weeks before the D-Day. It completely depends on the couple and the photographer’s availability. In order to get this photo shoot done you need to find a professional photographer who can capture the best moments or make you create them for real. Here’s what you should be looking in your professional photographer? 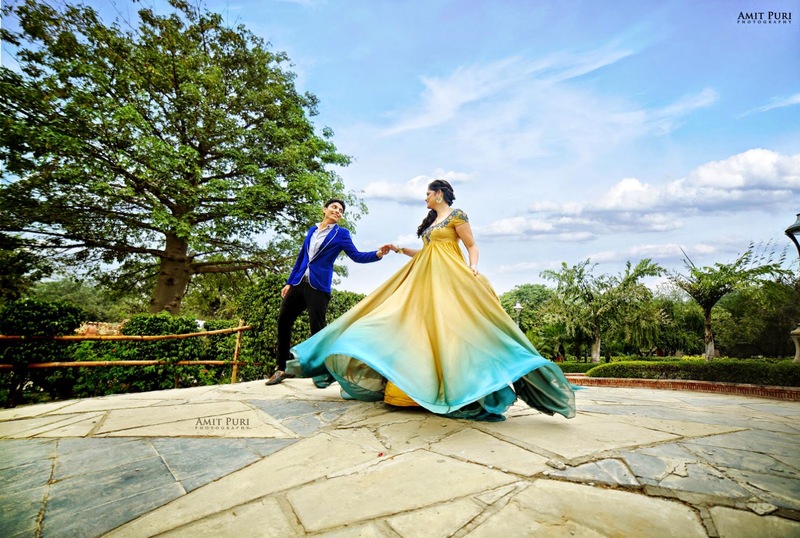 A pre-wedding shoot gives an ideal opportunity to the bride and groom to know their wedding photographer. Through this shoot you can determine what talent/experience the photographer possesses and then decide whether they can capture precious moments of your D-Day. You may or may not invite your close friends or family for your pre-wedding photo shoot, it is completely your choice. But, you have to ensure that the photographer captures beautiful and memorable snaps of the pre-wedding sequence. You can also visit the photographer’s studio to have a glance on their previous work. It could be a wedding that they captured or different pre-wedding themes that they have worked on. Through this album you can understand the photographer’s skills and also get an idea to pick your theme. A doctor cannot determine a disease without checking the patient similarly your photographer cannot interpret what type of photo shoot you want without meeting you. You do not want someone directing you to fake awkward poses for your pre-wedding photo shoot so it’s wise know each other. They get to know your personality and can suggest a theme which goes with it. For example, if both- you and your partner are interested in F1 races, your photographer can suggest you particularly F1 car theme with the most realistic F1 experience. There are some well-known companies in the UK which allows you to enjoy this breathe-taking expedition of driving F1 cars with help of car driving simulators. You can build some real engagement with the audience (they can be your friends or family). Once both the parties are sure about the theme then you can short-list venues, all the specific shots which you would like in your album. This way, you get what you want and the photographer has a clear idea of shots they are supposed to take. The last thing on the day of the shoot you want is getting wrong shots. A satisfying pre-wedding photo shoot assures that your wedding day is not at risk and the best moments will be captured by the experts. Your pre-wedding album is a pleasant journey for you and your partner because you create new memories. Apart from this, you can also use your pre-wedding photos in your wedding invitation. Some prefer to use while setting up a countdown for their D-Day. While others prepare a collage of these images for guests to sign and you personally get those images so you can use them just the way you want. Nowadays, couples create a video of their pre-wedding photos and share it on various social media platforms. Remember, that an experienced photographer has worked with several personalities and therefore understands couples well. This expertise gives the couple also significant amount of comfort and confidence because you do not doubt the photographer’s potential. In fact, experienced photographers can suggest you the best shots according to your personalities and save you from feeling conscious about being in front of the camera or even capturing any clumsy pose. As they say the camera doesn’t lie so avoid crooked smiles and enjoy the shoot without the fear of how you look or how the album will look like. There are many couples who believe that a pre-wedding shoot is just a trend or fad which will be over in a year or two. But, honestly, the choice differs from person to person. People have always loved capturing moments, so it’s not just a new fad that has taken the wedding world by storm. So, it is completely a personal choice with several advantages. One of them is you get a clear idea who is going to shoot your wedding photos. The next is that you get to spend time with your partner before both of you start experiencing wedding jitters. You and the photographer both get to know how photogenic you are and accordingly photographers can style your wedding shoot. Lastly, you can get really beautiful images of you and your partner which lasts more than memories.